Warren-Knight instrument Co. is a technically diversified company providing engineering, design, and manufacturing—including technical support services—to all U.S.A. and international markets. Warren-Knight Instrument’s repair and calibration shop will repair and calibrate any optical and/or mechanical alignment, leveling or angle measuring instrument. We also repair and service any surveying and construction equipment, optical alignment fixture, and other testing and calibrating instruments required for the complete repair, overhaul and calibration of your instrument. Warren-Knight Instrument Company offers three different certification classes to fit every need and budget. Cost of certification is based on type of instrument being certified and the type of certification. Readings provided after calibration is performed. Highest Certification level, readings are provided before and after calibration. Certificate states traceability to NIST. At Warren-Knight we offer repair service that is unparalleled. We service all types of optical tools and instruments. As a manufacturer, we don’t need to wait for parts to come in from some distant warehouse–if your instrument needs a part, we’ll make it. 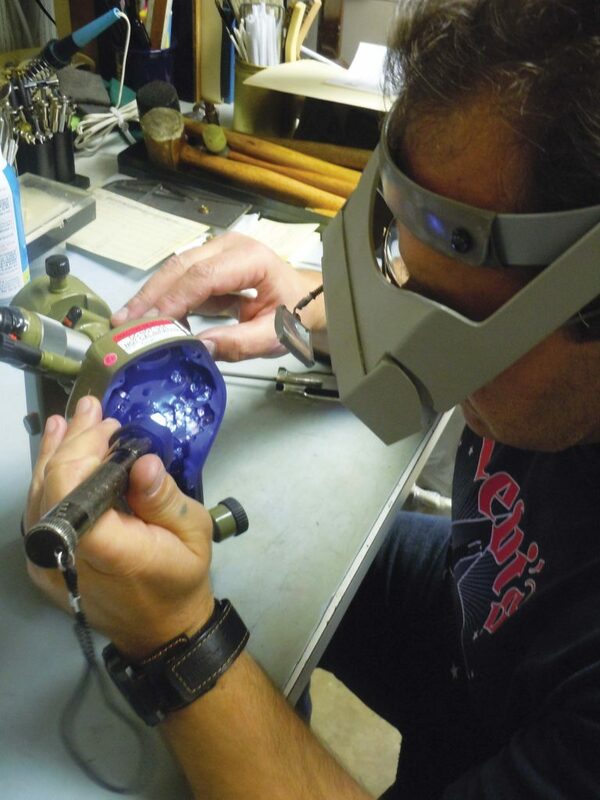 All instrument repairs include a complete disassembly of instrument, complete lubrication, and cleaning of all parts. Our repair lab is staffed with factory certified technicians committed to returning your instrument to its original specifications. Next time you have an instrument in need of repair–send it to us. All instruments and systems, calibrations, repairs, certifications, and service are NIST traceable. All work is guaranteed. All work is performed by trained technicians and engineers. All work is performed to your time constraints. Give us a call to discuss your rental needs. Weekly and monthly rates available. Check out our rental purchase plan–if you like the instrument you’re renting, why not buy it? Get credit towards your purchase. Warren-Knight’s complete line of optical alignment equipment and accessories includes: alignment telescopes, levels, collimators, jig transits, instrument stands, tooling bars and a vast array of supporting equipment and supplies. In the construction and erection of industrial machinery and equipment, or in the alignment of precision systems, position accuracy is extremely important. Warren-Knight has manufactured numerous targeting, alignment and collimation instruments and systems to mount, hold and target these instruments. Some align rollers in glass and paper plants, while others align complex sighting and targeting systems on the world’s most modern battle tanks and aircrafts. When you need to align and position machinery and equipment or materials, Warren-Knight may already have a stock product for you. If not, we specialize in custom state-of-the-art alignment systems and would be pleased to have one of our engineers discuss your requirements with you. Warren-Knight can help you choose the most efficient optical system for your operation. Backed by over 100 years of experience, Warren-Knight is well known as a quality manufacturer of precision products.